Tai Chi Chuan famous for its amazing health benefits is practiced all over the world by more than 100 million people making it one of the most widely practiced forms of exercise. This moving meditation involves performing a set of simple standing and moving warm-up exercises that focus the mind, body and breathing, followed by more detailed forms that essentially are preparing you for the day ahead and protecting you against injury and disease. Many years of sustained practice has been observed to substantially increase the efficiency of practitioners immune systems, strengthening bones, joints, muscles and also helping keep minds clearer and happier by focusing on the present moment, detaching that emotional rollercoaster from our wandering mind. Living in cities has improved standards of living but we increasingly live sedentary lifestyles going against millions of years of our evolution. By exercising the body, breath and mind we can offset the effects of ageing and keep/ regain the strength and flexibility from our youth. Tai Chi is proven to improve awareness of posture, boost our flow of bio-electricity and increase brain mass if practiced regularly. Our habits physical and mental are quite hard to change and sometimes we are unaware that sitting down for long periods, negative thinking, constant mind-wandering and poor diet can quickly age the body. Medical research has observed that those who live longer and have superior health move regularly (at least 30 minutes a day), keep more mindful (our brains are happier when we train it to simply enjoy the moment we are in), and looking after our diets means our bodies can function optimally at the cellular level. 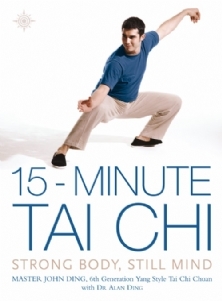 Tai Chi is the exercise that everyone must practice for a better quality of life now and in the future.